Cross-cutting –a simple process with more benefits than you might think - increased productivity, value creation, protection of resources and, not least, profit. Ultimately, every work piece must be cross-cut at some point during production. With an OptiCut from the Dimter Line you can automate and optimize your lengthwise cross-cutting, guaranteeing you reliably high daily performance and production quality. 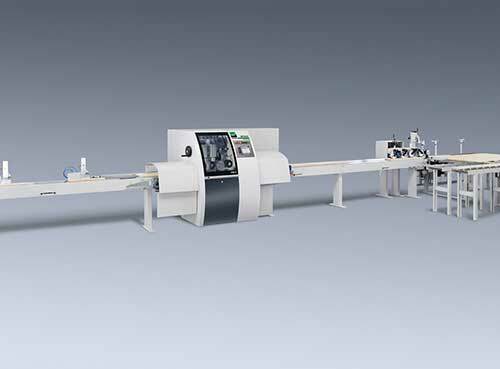 Improve your value creation from cross-cutting - cutting precision, flexibility and optimal safety - the automatic optimizing cross-cut saws with positioning pushers of the DimterLine OptiCut S 90 series offer all of this combined with high productivity. 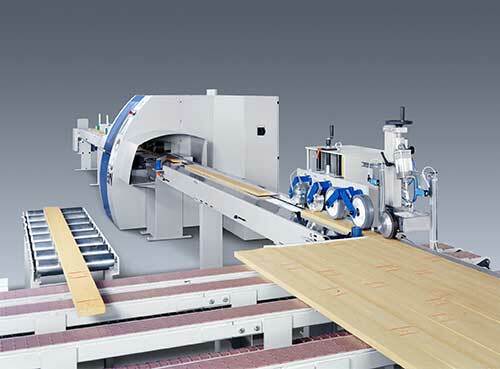 Whether cutting single boards or packages of boards, profiles or rods in solid wood, panels or even plastics, modern operations need this flexibility - in fixed-length cutting, when cutting out defects and for optimization. The Dimter Line series offers you innovative mechanical engineering from cross-cut saw specialists combined with state-of-the-art control technology and software - everything from a single source. You can decide on the level of equipment and extension, whether a single machine or fully-automatic linked cross-cutting line with integrated work piece recognition - now or later. Flexibility is retained at all times – e.g. via the "manual cutting" function. 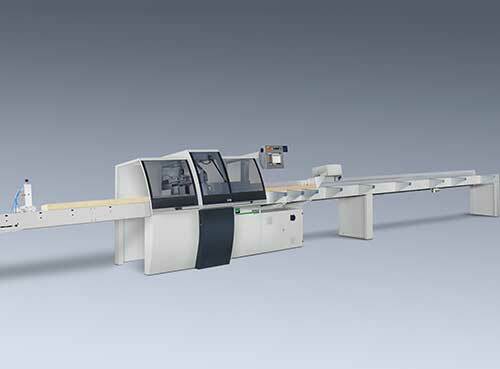 The OptiCut 450 series from the WEINIG DimterLine offers high-speed optimizing cross-cut saws for all industrial requirements. Select from our OptiCut range from simple to fully-automatic solutions. Position, cut and sort at rapid speed – and all of that with optimal recovery. Modern operations need this performance – for fixed-length cutting, when cutting out defects and for optimization. They are not only the fastest but also provide reliability, accuracy and complete user-friendliness. Once set up, they are immediately profitable in high-performance, continuous operation – the machines of the technology leader from the DimterLine.